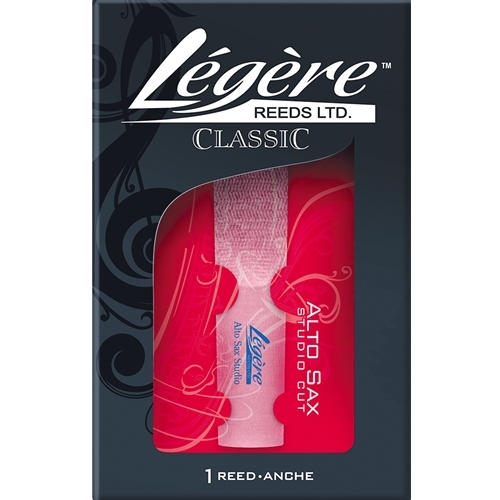 Legere Studio Cut Alto Saxophone #1.5 The Studio Cut Classic Series uses the same material as the original Classic Series but with a modified profile. This profile is designed to offer a more responsive reed without the overtones of the Signature Series. The softer material increases projection and ease of play. The Studio Cut is an ideal choice for players who use a lot of vibrato in their sound or blow very hard. It is recommended that players test the Signature Series before the Studio Cut.